Repair unable to boot VM after a successful P2V with NovaBACKUP (if the VM is Windows 7 and above Workstation OS). 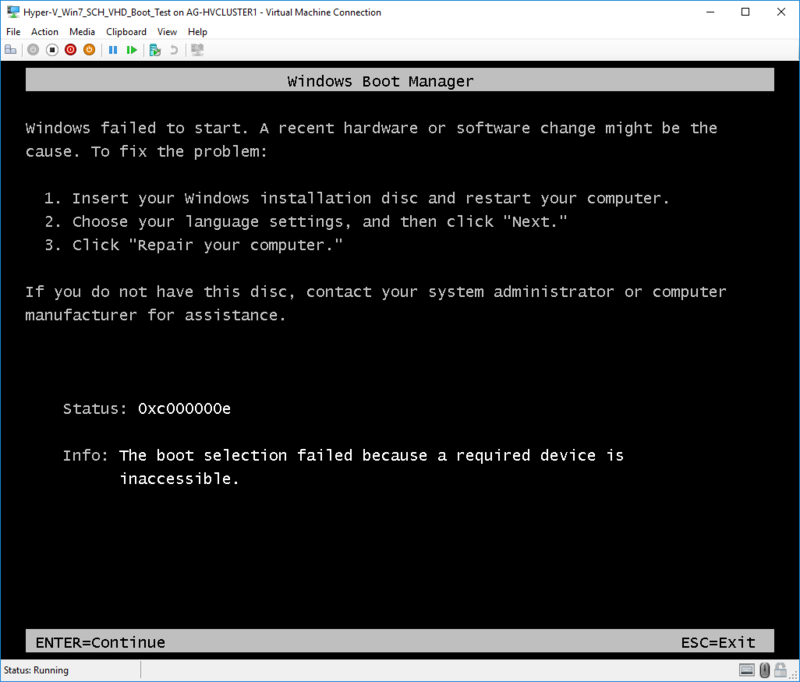 This method requires having installation media for Windows 7 or above (.ISO image or DVD disc) on hand to be able to assign that installation media to the VM that is unable to boot in order to perform the repair. Instructions for if the VM is a Windows 7, 8, and 10 workstation OS. We’re going to fix the entire boot path, despite what part of it is broken. Locate an ISO or DVD of the installation media for any of the operating systems listed in the title above, it does not matter which you use from the list as they are all compatible. 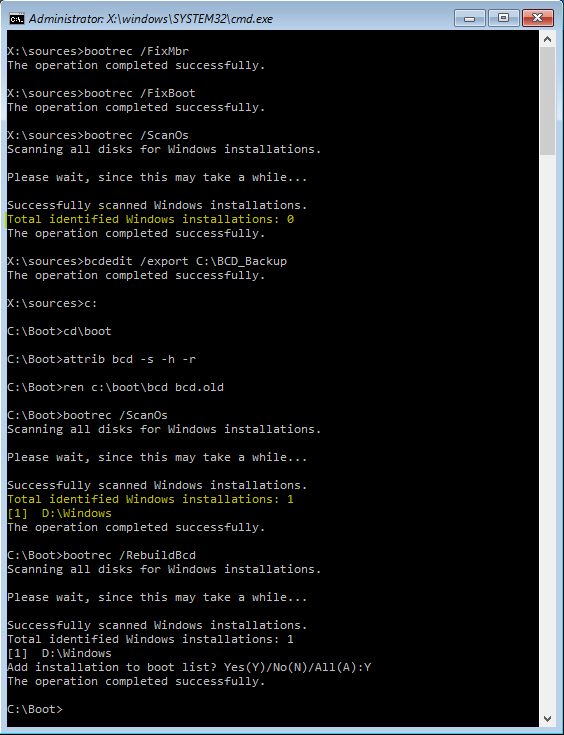 Prepare your VM to boot from this installation media. We’re going to use the Recovery Console. We’ll assume you are using the Windows 7 installation media. Attach the Windows 7 installation disc or ISO image to the Virtual Machine’s virtual DVD drive. 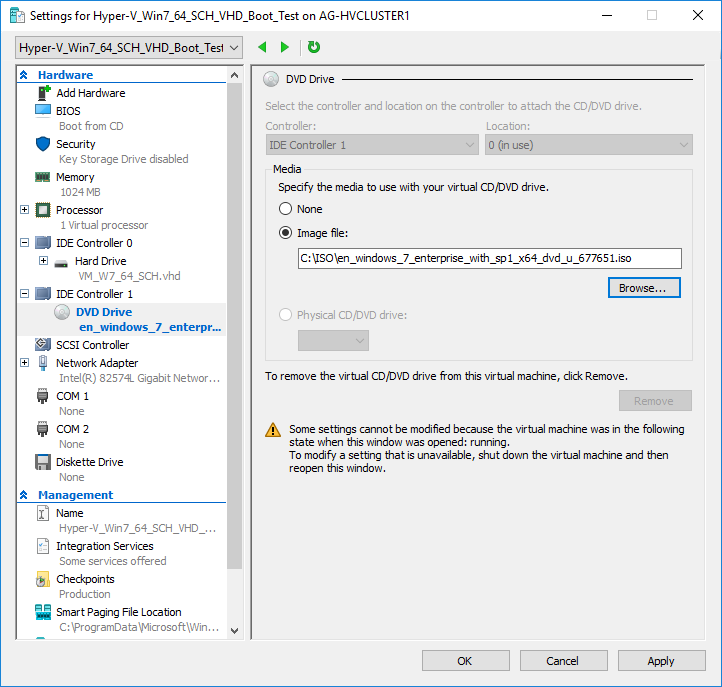 In this example we are using Hyper-V Manager to edit the existing VM that cannot boot and in the settings for that VM we have browsed to and assigned the Windows 7 installation .ISO image file to the 'DVD Drive' as shown here. Press a key when you are prompted to do with the “Press any key” text on screen. In the System Recovery Options dialog box, click Command Prompt. If an operating system is not found simply continue anyway. This guide explains how to use the Bootrec (bootrec.exe) utility for the following Windows versions: Windows Vista, 7, 8, 8.1 and 10.